Maui is facing historical challenges. The population of the island continues to increase and tourism is breaking records while our own children cannot afford a home and are forced to move away to make a living and provide for their own families. Millions come to enjoy our unique and beautiful shorelines every year but development of luxury housing blocks off the views and restricts access to land and ocean recreation for those who live and work here. Sea level rise erodes and threatens housing, businesses, and vital corridors of transportation. Our vast, fertile agricultural lands lie fallow while we import the bulk of what we eat. What is left to remind us of Hawaiian history and the bones of the kūpuna is hauled away or buried under new construction, lost forever. But Maui can have a very different future, one that meets the needs of its people while continuing to offer its beauty and cultural legacy to the world to enjoy. The Hukilike No Maui – Together for Maui – Coalition seeks to bring different communities that care about affordable housing, agriculture, and conservation together to create a brighter future for Maui. The end of commercial sugarcane cultivation on thousands of acres of Central Maui land poses challenges but also a tremendous opportunity to address many of the long-standing problems facing our island. The coalition was started by long-time Maui advocates for affordable housing, agriculture, and the environment. While not always seeing eye to eye in the past, we understand that these problems are interconnected and significant progress in any of these areas requires working together and identifying land use solutions that meet the needs of the whole community. This requires a new, holistic and collaborative approach to planning that looks beyond individual parcels and projects and takes into account the long-term and complete requirements for infrastructure, access to jobs, education, retail, services, and recreation, as well as protecting the quality of our ʻāina, kai (ocean), and wai (freshwater) and the integrity of our special places. No single person or organization has answers to all the challenges. Collectively and through working closely with the community, we believe big, innovative solutions can be found. 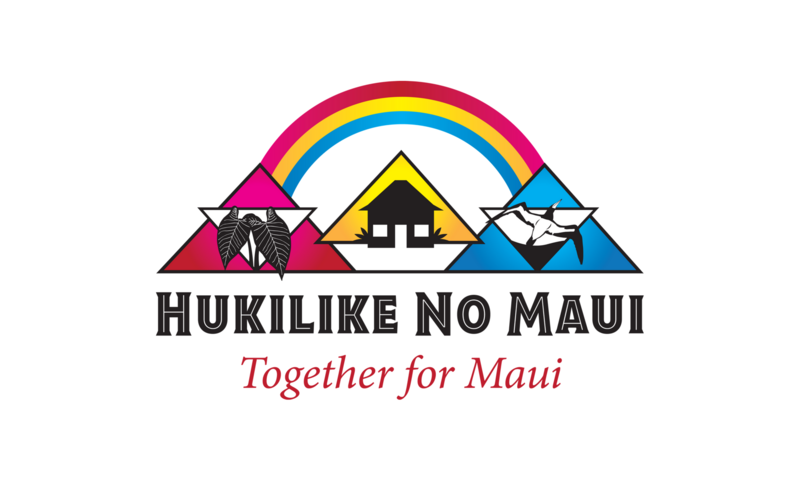 The Hukilike No Maui: Together for Maui Coalition is comprised of organizations and individuals who recognize that our goals for agriculture, affordable housing, and conservation on Maui are intricately connected, and to achieve them all we must work together. If you or your organization is interested in officially joining the coalition, please contact us.